In early May I happened to catch a few minutes of wbur’s On Point with Tom Ashbrook. His topic, Death At A Young Age, featured the 1987 death of five sorority sisters who were killed in an automobile accident when returning from a charity walk-a-thon. While it might sound morbid, the conversation was anything but. Some days it is as simple as that. What are you doing that will be remembered? If I’m honest this question has played a role, in one form or another, in all of my job decisions of late. I’ve also begun to notice my decisions group themselves in different paths or routes. Each with a different set of questions and expected outcomes. They are: Availability, Retreat, and Vision. The last time I formally switched jobs I had two babies under 2.5 years old; I had just lost my father and knew one thing….I wanted to get off the road. For the prior three years I had commuted between Boston and Dallas. Great for my American Airlines status (yes, I am a million mile member of their frequent flyer program) but challenging in almost every other way. My goal was to travel less. I was unaware at the time but a major transition had begun for me; I needed to begin imaging my life as a career mom (READ: career person and, separately, a mom). But I didn’t know that yet. What I thought I needed was a new job. Availability. After I decided to drop Dallas commutes I was offered a job thanks to networking with a former advisor. This colleague was transforming a major corporation. He was in a succession line to be CEO. He wanted a trusted business person to run HR. I had previously only agitated HR. He wanted me on the team. Availability? Retreat. Take a powder. Drop back. Re-evaluate. If temporary I’m all for it. Let’s call it a sabbatical. Conversely…here is a story that is repeated over and over and gets me profoundly sad. A woman who I know from my town worked in finance prior to having children. It was a job but nothing that captivated her spirit. She had gotten to the job somewhat by chance after periods of unknowing; not knowing which way to turn after college, not knowing which way to turn after a relocation. The onset of children offered her a taste of an elusive goal. Her home life became a proxy for the objective she had never been able to pinpoint. Moreover, she stopped searching. Eleanor Roosevelt in It’s Up to the Women said, “we should be able to realize that making up our minds as to what gives us the greatest amount of pleasure and then working for it, is one of the (great) satisfactions of life. Drifting along is too easy to do.” (It’s up to the Women, pg 9) My friend would say that her children give her the greatest pleasure. But I wonder. PLEASE NOTE….Not all women who choose to commit full-time in the home retreat. My sadness arises from those who hide behind it…never reaching for that which will truly make their heart sing. Granted parenthood may alter the terms with which you’re able to pursue your dreams but it is no reason to abandon the search. Vision. In my twenties I had a dream to be a visible female leader. In the past months I’ve somehow excavated this vision. It surprises me how comfortably it fits. For me the concept remains almost unchanged. How I express it has changed radically. Funny enough this vision popped back into my head when I looked back at all ‘experiments’ that I’d undertaken in the past year. Those that energized me fell into this bucket. Entrepreneurship. Female-led innovation. Women’s development. Change. Vision? Do paths matter? For me they only matter in the questions you ask yourself en route to a job decision. Availability may win the day if you are in the middle of a divorce and need to satisfy income hurdles. Retreat may be just the cure if you need to drop back and regroup. You may have had enough of other people’s agendas and need to be clearer about your own vision before signing on the dotted line for your next job. A little twelve-year-old girl provided the inspiration throughout another woman’s life. I don’t think that either of them knew at the time the impact each would have on the other. Is there a path that you’re on? Does it impact how you show up everyday? Or, how you might be remembered? 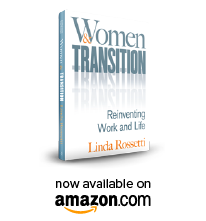 This entry was posted in Observations on Transition and tagged career transition issues, npr, observations from a women's transition, OnPoint, personal transition, Tom Ashbrook, Transitions Making Sense of LIfe's Changes, wbur, William Bridges, women's transition issues. Bookmark the permalink.